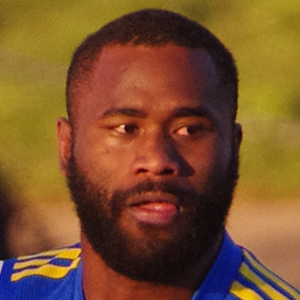 Wing who played for Fiji from 2013 to 2014 and then joined Prime Minister's XIII in 2016. He has over 70,000 followers on his semi_radradra_ Instagram account. He represented the Fiji national under-20s team at the 2011 IRB Junior World Championship. He was the first Fijian to win the Dally M Winger of the Year twice in a row. His parents are Samisoni Waqavatu and Luisa Sera. He married Vika Fifita. He and Chris McQueen are both rugby players who have represented Prime Minister's XIII.